The 3 Day Apple Fast for Acne on your face, back, chest, shoulders or anywhere else is one of the best things you can do for your skin. Regardless of your type of acne whether it be cystic, vulgaris, or mild, fasting 3 days eating only apples and drinking water will unquestionably HELP your appearance. Attacking acne from the inside out is crucial to clearing your skin. Anyone who tells you either wise is wrong……I’m serious. I’ve had doctors say diet doesn’t matter than others who say it is nothing but. An interesting study shows that people in the Kitava Islands show no sign of acne. The Western diet that we follow is the perfect recipe to incite acne. Following a healthy diet, that really targets eating lean meats, vegetables, fruits, and whole grains will really reduce acne. 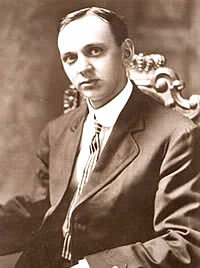 The 3 day apple fast was the idea put forward by one Edgar Cayce (1877-1945), who was spiritual guide of sorts. He supposedly had psychic abilities and would enter into trances in order to help people with the medical and health related issues. When I first read about this man and this fasting, I thought it hocus pocus and just the brainchild of a mad-hatter. I’m thankful though that I took the plunge and tried it because the results are instantly wonderful. After this, I read more about Edgar Cayce and I’ve come to admire him greatly. Fasting is different from dieting. Dieting is changing the food you eat, fasting is NOT eating food. The health benefits of fasting are endless and include: clearer thought, weight loss, longevity and a stronger immune system! Fasting is quite simple. Don’t eat food and only drink water, although this can extend to not even drinking water. It gives your internal organs and entire system a good break and a good cleanse. And fasts can last for any period of time but the usual is about 24 hours. I like to consider the apple to be king of the fruit and vegetable kingdom. It has more anti-oxidants than a handful of blueberries, a very low Glycemic Index (GI) and is high in fibre. I found this wonderful website when researching apples and was stunned at this body explorer (an interactive user experience on the body and the benefits of apples on each part). It is not really relevant to the 3 day apple fast but is interesting enough to make you eat more apples. However, this is not reason apples is the top choice for fasting to clear acne. The reason is that apples have pectin and lot of it. More than anything else, other than lemon grapefruit or orange peels (but I don’t think you’d fast on them though). This pectin is a complex carbohydrate that excels at removing toxins which includes heavy metals, chemicals, or not-so-good food ingredients. These are either ingested through the air we breathe (fumes, cigarette smoke), the food we eat (preservatives, medications) or the work we do (poison spraying, painting). In short, Pectin is effective at binding with these toxins aka “Chelation” then dragging them kicking and screaming to be removed (urine or otherwise). So although fasting is great to detoxify the body, pectin facilitates the process even more to give better results. 3 days is the shortest time frame possible to effectively remove most toxins. I’d like to mention though that the more you look into the lengths of fasts, the more you’ll want to do one. This is what I like the most about doing a fast. The longer fast, the more benefits. The downside is the willpower to stick to the plan and abstain from little food indulgences. Once you have food, even something small, you may as well call it quits. The power of the fast is instantly removed because the stomach and the rest of the digestive system powers back up. You must stay away from all foods. **In this case only eat apples** Apples are fine because they are so easy on the stomach and the body gets used to just this one type of digestion. First time I did the 3 day apple fast I didn’t last 3 days, it was too hard and I like food too much. I lasted a day and half but I still felt benefits immediately! My face improved slightly, with noticeably less redness. I felt lighter, had more energy, but most all, my mind was sharp and crystal clear. I felt bad that I didn’t last longer because I would have liked to see what else might have improved. • Cravings for food – you’ll be amazed at how dire you can feel, all you want is a kebab or the like from down the road. • Headaches – this is from a release in toxins into system, a normal reaction to fasting and is actually a good thing. • Nausea – the same reason for getting headaches, so don’t worry. • More redness – WAIT!! Let me finish. More redness to begin with. In the first day or two of the fast your skin may get worse, mine didn’t, but yours may. This is apparently due to the toxins being released, this will fade quite quickly though after the fast is complete. • Short-term – depending on the severity of your acne and how well you eat afterwards will determine if or how long the acne comes back. I never looked into doing the 3 day acne fast for acne as much as I should have to begin with before doing it the first time. My eating habits continued the same (not very good) after finishing and gradually (about a month) my skin deteriorated back to square 1. This fast WILL work. It’s results may vary but your skin WILL improve after doing this. You may need to do this a couple of times a year to keep the results and you must change your eating habits for the better. More vegetables, fruits, whole grains, and lean meats. Cut sugar, saturated fats, and less dairy. 1. The night before don’t have pizza, steak and fries, or any mountain of food. Just have a nice leafy salad, some vegetables and just keep it simple and light. The fast will work much better this way. 2. The amount of apples you eat is irrelevant, eat when your’re hungry, that’s about it. Just make sure you’re only eating apples though. 3. The type of apples I don’t think matters. I’ve always used Red Delicious until recently; my last fast was with Pink Ladies. The benefits I felt were the same. When it comes to green or red apples? Use red, not green. Everywhere I’ve researched says this and I can’t find why. If know why, let me know in the comment section below! ↓ ! 4. Drink water. This can vary depending on who you research some people say 2 quarts (2 liters) but when I first started I heard as much water as possible. For me this is about 3-4 quarts. This step is actually imperative for the fast’ success. Once the pectin from the apples has bound with released toxins, they need to be flush out, hence ample water. 5. Just keep this up for 3 days and let whatever happens, happen. 6. On the night of the 3rd day, have a teaspoon of olive oil to get the stomach going and release bile from the liver (which can store there after a fast from not eating any fat). Also important to complete this step. 7. On the morning of the 4th day, again don’t have bacon, eggs, hash-browns and waffles or anything else that is heavy. Have a bit of fruit and maybe some yogurt (you usually are sick of the sight of apples by then so have some fruit of another kind!). I always go back to having my lemon water every morning as well as taking my vitamins and acne fighting tablets. 8. That’s it, fast complete. If you know a little about the Cayce’s apple fast then you might know that an enema is suggested. I never do that, I really don’t think it is necessary but you might. Yes!! This simple and effective technique will give you clearer thought and better health. Just another weapon in your arsenal for a better you. I most certainly recommend it! My face was much less angry after this fast. The redness definitely subsided. Thanks for reading and I hoped I’ve helped in some way. I’d love to hear your thoughts and results, so just place them below. Also, if you have any questions or queries, just ask!